This week we learn about the delayed effects of system design failures; multi-person authentication; we talk about comparison signs and code reviews; impossible errors that do happen; using lottery for better security; creating music from unrelated YouTube videos. Design Trumps Training "Delayed effects of system design failures". Exactly. User error is a folk term. It colloquially expresses our natural tendency to attribute results to human actors. In contrast, use error is a specific term used by designers and human factors engineers to describe failures resulting from a mismatch between a device and its user. What's more, messaging AI benefits from an obvious feedback loop: The more we interact with bots and messaging UI's, the better it'll get. That's perhaps true for GUI as well, but to a far lesser degree. Messaging AI may get better at a rate we've never seen in the GUI world. Hold on tight. How to build and care for your own sassy, quirky, funny interface robot To all the people who think web design is about pixels, time to start practicing your content skills. How to make email confirmation a little easier for your users Show them a button labeled “Open in Gmail”, that links to the Gmail search for the confirmation email. Works with other web-based emails as well. santinic/how2 Like man, but gets answers from StackOverflow. zzarcon/psaux pa aux as a promise-based Node library. Delivering Fast and Light Applications with Save-Data Using the Save-Data header to deliver lighter resources to users that opted in to data saving mode. All changes to domain ownership or nameserver information is verified and executed manually. The Fab Four technique to create Responsive Emails without Media Queries Cool technique that uses calc(), width, min-width and max-width to deliver responsive emails. brew cleanup for the (9.6G) win! Trust no one. Question everything (kindly). Assume that the author has made mistakes that you need to catch. Save your users from those bugs. Don't use the greater than sign in programming What happened if we only had one way to test if X < Y? This is such a nice way to express numbers I wonder why programming languages allow for the greater than sign ( > ) at all. The moral of this story? Don't get trapped by the sunk cost fallacy. If you find yourself passing parameters and adding conditional paths through shared code, the abstraction is incorrect. It may have been right to begin with, but that day has passed. People run into trouble with DRY because it doesn't tell you *what* not to repeat. 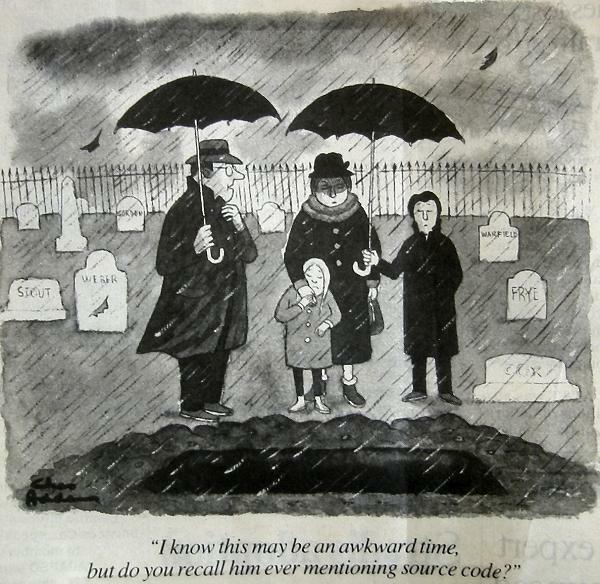 People assume syntax, but it's actually concepts. Each affected application showed “impossible” errors, like weird characters appearing in strings, or missing required fields. ... Exacerbating this problem: in any distributed system, data, once corrupted, can cause errors long after the original corruption (they are stored in caches, written to disks in logs, etc.). @tveastman "This product is a perfect physical metaphor for all of modern software architecture." Million Dollar Curve A cryptographically secure elliptic curve whose randomness was produced in February 2016 from national lotteries. Cops are asking Ancestry.com and 23andMe for their customers’ DNA From the #sawthiscoming department. 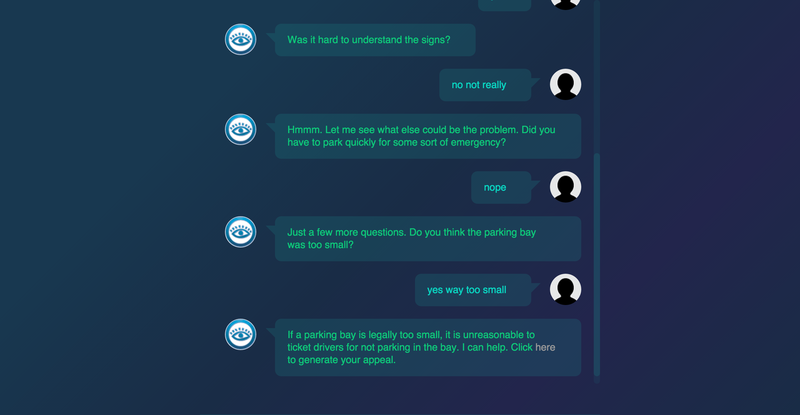 A 19-year-old made a free robot lawyer that has appealed $3 million in parking tickets Speaking of conversational UI, DoNotPay helps you fight parking tickets (UK only for now). Observers have noted that many of these new devices are in their “awkward adolescence.” That is because they are in their gestation phase. Like PCs in the 70s, the internet in the 80s, and smartphones in the early 2000s, we are seeing pieces of a future that isn’t quite here. We are living in the golden age of animated gifs, or as I like to call it, the second silent era of film. @benicus_rex "When you post a selfie but no one favs it"
My advice for my students: The "I don't know what I'm doing" feeling never goes away. You just learn the "but I can figure it out" part. The Brain: A neural network built entirely in Quartz Composer Wow. If your org creates a "Center of Excellence", they blew it. Thru You Too "A music album composed of unrelated YouTube videos". Also check out Inner Galactic Lovers, a mix of Fiverr artists.